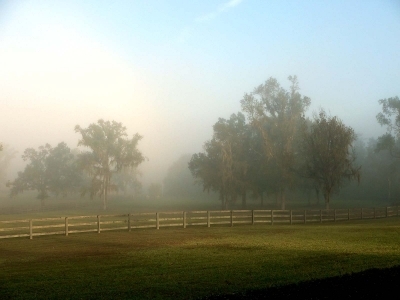 Pictured above: Thanks to the lime in its soil, Ocala is home to some of the largest horse farms in the world. Announcing our new Google Search function. To make all of our extensive information more accessible we have converted our top (right) search boxes to a custom Google Search bar. It works much better than the proprietary search we had before. For example, if you are interested in affordable retirement towns, just type that in to get some helpful suggestions. To find attributes about retirement towns (like mountain or coastal), or amenities for communities (like golf or swimming pools) use our Advanced Search. Just How Much Is Enough for Retirement - Would $1 Million Cut It? Put aside for a minute whatever amount you might have saved for retirement. Even if you haven&apos;t had the good fortune to have saved $1 million, how much does it take to retire comfortably? The $1 million dollar example is instructive, even for those of us less fortunate. 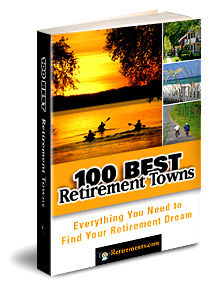 Click on a state to see reviews of 604 great retirement towns, plus a list of 1,132 active adult communities. Please welcome our newest advertiser - Santa Fe Exclusives - specializing in luxury homes in the Santa Fe area. Please support our advertisers, the good folks who make this site possible. Heh, not everybody has to retire in Florida, the Carolinas, or Arizona. There are plenty of other beautiful places where winters aren&apos;t so cold and the cost of living is low. Among its other attractions, Natchitoches, an old French trading post, has a 33 block historic district and a university. The movie "Steel Magnolias" was filmed here. Thinking about Buying a Short Sale or Foreclosure - Just Say No! For the intrepid and skilled among us, buying through a short sale or foreclosure has often been a successful way to get a really good deal on a home. That was a solid plan - until all heck broke out last week. As in robo-signers and Bank of America cancelling foreclosures in all 50 states. Read on to find out what all of this might mean to you. Ocala means a lot of things to different people. For some folks Ocala, a former citrus growing area, is horse country. 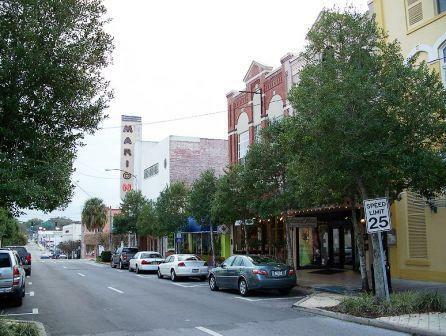 For others, this Central Florida town is the center of a region with dozens of active adult communities, including of course, The Villages.